Feeling the pinch this February? Pick up your complimentary hot drink, iced Latte or iced Americano from Caffè Nero, on Tuesday or Wednesday. Treat yourself, it’s on us. Extras, speciality drinks and all other products are excluded from this offer. Please tap ‘Use now’ to reveal your code only when you are within 15 minutes of ordering at Caffè Nero. Please note that is only one code, per customer, per week. If you are on O2 and don't like a free drink, donate it to someone in need. Is it actualy 15 mins?? Wish I’d known that yesterday, turned up at 6pm and the app said from 12pm today, seems like it limited uses or limited time? If you save the App on Tues, can you use it on Wed BEFORE 12pm? I have a physical filled card, not sure what you mean by sending that to you? You mean post it? If I use your QR code will that still credit you with 1 stamp? Not sure how this works as new to this. If you are not using the QR code then might as well send as it cannot be redeemed another time? Let us know, thanks mate. I have a physical filled card, not sure what you mean by sending that to …I have a physical filled card, not sure what you mean by sending that to you? You mean post it? If I use your QR code will that still credit you with 1 stamp? Not sure how this works as new to this. If you are not using the QR code then might as well send as it cannot be redeemed another time? Let us know, thanks mate. No, on the app, when you have a filled card, you can gift it to other people. What app? The o2 priority app or the cafe Nero app? As I said still new to this. The Nero app. Make sure you scan it before you get your o2 coffee to get a free loyalty stamp. The Nero app. Make sure you scan it before you get your o2 coffee to get a …The Nero app. Make sure you scan it before you get your o2 coffee to get a free loyalty stamp. Ok thanks, never knew the app did this, I always get a physical stamp, can I get both? I take it by using the QR code that won’t credit 1 stamp onto the users account? If anyone else is not using their QR code today please feel free to PM me. Ok thanks, never knew the app did this, I always get a physical stamp, can …Ok thanks, never knew the app did this, I always get a physical stamp, can I get both?I take it by using the QR code that won’t credit 1 stamp onto the users account?If anyone else is not using their QR code today please feel free to PM me. No, you either get a stamp on the app or stamp on physical card. If you use another person's o2 code, you can scan a screenshot of their loyalty barcode beforehand, to credit them the stamp. this freebie has become not worth having. The Nero staff at several of the cafes have become rude as if they are giving you the money out of their pockets. They won't give you a stamp at all now, although a couple of weeks ago said 'as long as you downloaded the app they would' (hardly fair to force you to do this when we could use cards previously and with no notification either) and last week they said 'no' unless you have a takeaway cup'. The worst are Kingston at Milton Keynes, several MONTHS ago refused to give you a coffee after 5pm despite the Ts and Cs stating to the contrary and all other Nero's still allowing you to after 5pm. Others are just as bad these days with changes in their policy each week depending on where you are in the country. Not worth going anymore as the coffee is not great and my local Nero smells of mould and silverfish and it is only a year old! They need to treat customers with a bit more respect rather than cattle to be controlled. Worth remembering we buy other stuff along with our coffees and this will disappear along with our goodwill. There are plenty of coffee shops out there and the independents are doing a pretty good job at good coffee and good service. Is it too much sugar content to have two drinks say one on Tuesday and Wednesday? Was wandering how much sugar they must contain.. does anybody know how mych would be in a Latte and in Hot Choc? I can’t remember the last time this showed as in stock for me, every time I check it’s out of stock on the app. Is it a set amount of free ones given per day or is my app broken? this freebie has become not worth having. The Nero staff at several of …this freebie has become not worth having. The Nero staff at several of the cafes have become rude as if they are giving you the money out of their pockets. They won't give you a stamp at all now, although a couple of weeks ago said 'as long as you downloaded the app they would' (hardly fair to force you to do this when we could use cards previously and with no notification either) and last week they said 'no' unless you have a takeaway cup'. The worst are Kingston at Milton Keynes, several MONTHS ago refused to give you a coffee after 5pm despite the Ts and Cs stating to the contrary and all other Nero's still allowing you to after 5pm. Others are just as bad these days with changes in their policy each week depending on where you are in the country. Not worth going anymore as the coffee is not great and my local Nero smells of mould and silverfish and it is only a year old! They need to treat customers with a bit more respect rather than cattle to be controlled. Worth remembering we buy other stuff along with our coffees and this will disappear along with our goodwill. There are plenty of coffee shops out there and the independents are doing a pretty good job at good coffee and good service. once they refused the screenshot and asked to see the timer countdown. Can’t comment on other branches, but today (thanks to Chris3912) I redeemed screenshot at Canary Wharf and the staff were the most pleasant you could wish for. Perhaps they give more respect to office workers! Also, I got the app scanned as well as my physical card, in fact the young lady was so nice she smiled and stamped my card twice. 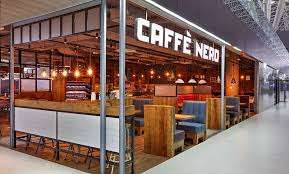 Will definitely be returning..
Caffe Nero does have some rude staff in certain places but in general they are friendly from my experience. The one in Elleys Wimbledon IMO has the type you are referring to but the one near the Wimbledon station has some better staff. My experiences at Cambridge (outside the station) and Golders Green (Outside the station) was really good as the staff were quite welcoming and happy to help attitude which is missing these days at any place you go to eat. The one at Cambridge even asked me to go for a large with my o2 priority code! Nero coffee IMO is never constant, each week it changes the taste and sometimes I find it quite bitter which puts me off. Even then I find Nero much better than Costa in terms of taste. Yes, I was in Nero Sutton High St opposite WHSmiths a couple of weeks ago and the stroppy fat East European guy wouldn't give me a stamp. Said I need to download the app in order to collect stamps for free coffees. The people at Nero at the top of the High St opposite Barclays are more nice and give me stamps there. Caffe Nero does have some rude staff in certain places but in general they …Caffe Nero does have some rude staff in certain places but in general they are friendly from my experience. The one in Elleys Wimbledon IMO has the type you are referring to but the one near the Wimbledon station has some better staff. My experiences at Cambridge (outside the station) and Golders Green (Outside the station) was really good as the staff were quite welcoming and happy to help attitude which is missing these days at any place you go to eat. The one at Cambridge even asked me to go for a large with my o2 priority code!Nero coffee IMO is never constant, each week it changes the taste and sometimes I find it quite bitter which puts me off. Even then I find Nero much better than Costa in terms of taste. I went to Nero Elys Wimbledon on a Sunday a couple of weeks ago and the staff there were ok.
Can’t comment on other branches, but today (thanks to Chris3912) I r …Can’t comment on other branches, but today (thanks to Chris3912) I redeemed screenshot at Canary Wharf and the staff were the most pleasant you could wish for. Perhaps they give more respect to smartly dressed office workers! Also, I got the app scanned as well as my physical card, in fact the young lady was so nice she smiled and stamped my card twice. Will definitely be returning.. Yes, I've been to Canary Wharf Nero a couple of times and the staff there are nice. I was there again on Sunday and I do recommend it, as the store is very clean. Some stores the sofas are ripped and worst thing is people leaving food all over them!! And then you're expected to sit on someones food!! Worst thing is the food goes down the side of the cushions meaning is hard to clean,meaning get bugs on your ar$e!! I went to Nero Elys Wimbledon on a Sunday a couple of weeks ago and the …I went to Nero Elys Wimbledon on a Sunday a couple of weeks ago and the staff there were ok. I am guessing they changed staff. Not sure why they have behaved in such manner. But I can vouch for Hitchin branch. Superb service I always scan the app for stamp then do the voucher.